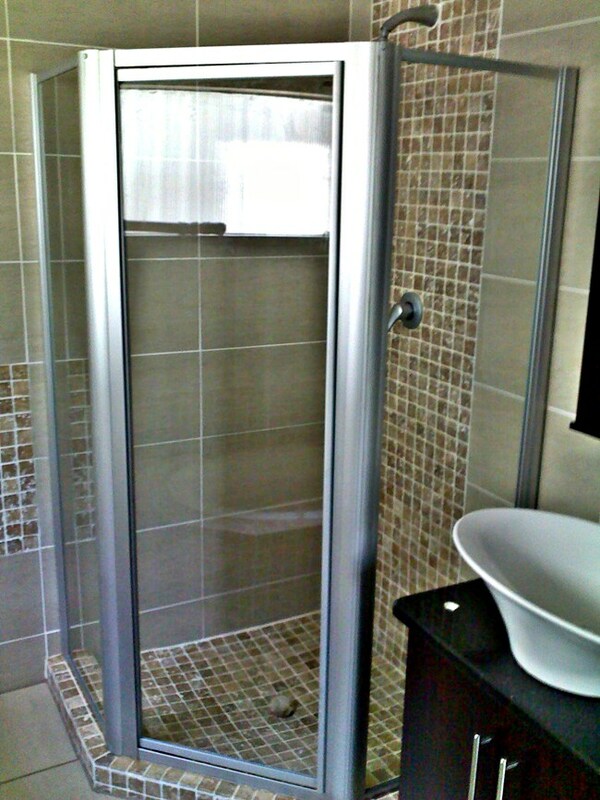 BJ Glass & Aluminium offers a choice of two types of framed shower finishes. Natural aluminium colour finish or white aluminium powder coating finish. Then there is a choice of 4mm clear toughened safety glass or 4mm obscure toughened safety glass. White Aluminium Powder Coated Finnish.